The song-identification app hopes its new augmented reality function debuting at SXSW will provide advertisers with the reach its competitors can't. Since its inception in 1999, Shazam has been known mostly as the app that helps users identify songs and their artists. In 2015, the app branched out to include a visual-recognition function that allowed consumers to scan books and packages for special offers. 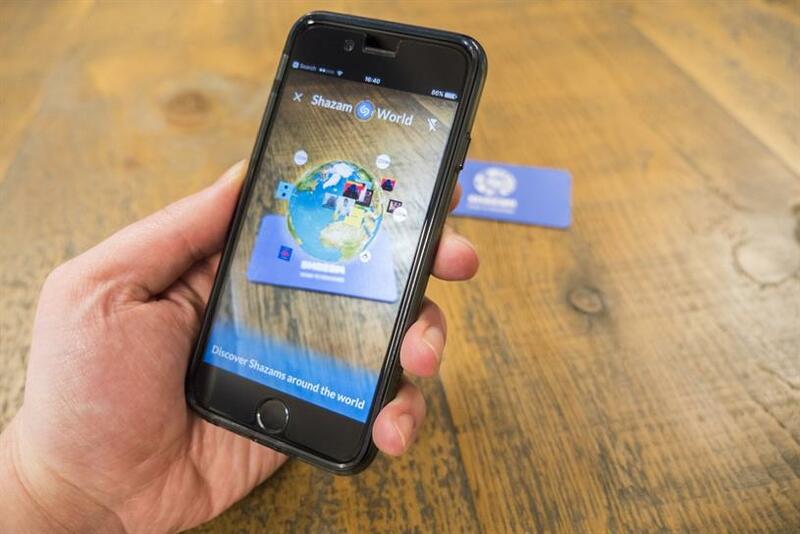 Now, Shazam is taking that functionality into the third dimension with augmented reality. At SXSW, Shazam will debut an AR platform for brands and artists with a promotional experience in partnership with Wyclef Jean. On March 16, the artist will perform at a brunch hosted by Shazam. But instead of formal invites, the app is working with a handful of hotels to place AR codes on hotel keys and posters. After scanning the codes with the Shazam app, users see a translucent Wyclef pop up, sing about the brunch and present an RSVP button. When consumers click the button, the brunch event will be saved to their calendars with the location and time. The app, which celebrated its billionth download in September, decided to implement the AR function after advertisers made it clear there was a need. "The more I started talking to advertisers, the more they started bringing up augmented reality," said Greg Glenday, Chief revenue Officer at Shazam. "Brands would say it's not enough to scan a cereal box and get nutritional information; we want to scan a cereal box and have a three-dimensional game that's educational, that teaches the kid something, that's fun." Shazam’s inclusion of AR allows the app to offer brands stimulating experiences for consumers beyond stagnant information. Glenday points to cereal boxes as an example. For decades, kids could find surprises in their favorite cereals. Today, a Shazam code on the back of a box would bring that feeling back, he said. Glenday describes an AR experience as a "stickier piece of creative," one that helps to "close the loop on the purchase cycle" with consumers. Glenday claims the app’s new platform is the first global AR solution for marketers. With users in over 190 countries who use the app 20 million times a day, Shazam has the scale that other AR companies don’t have, he said. "Everyone likes the idea of augmented reality, but the big problem with it is scale," said Glenday. "There's all this friction. If you see a zap code, most people don't have an AR reader on their phone, and they're not going to download it for one experience, but if you have Shazam already, we take all the friction out of it. You already have this music discovery app, so all we have to do is tell people about it, and then they're the engine." Already, the new technology seems to be gaining popularity among advertisers. According to Glenday, Shazam spoke to about 25 advertisers about the new platform and 17 of them gave the company projects right away. Premium spirits company Beam Suntory, parent company of Jim Beam, Sauza and Hornitos, has signed on as one of the first partners of the platform. Beginning in April, Beam Suntory will use the platform to break through the clutter of Cinco de Mayo advertising. Jim Beam, for instance, wants to bring its labels to life using Shazam’s AR technology. By scanning a code on the tequila’s label, a user will be able to see it pop up in their environment, and a selfie function will let users swap labels from bottle to bottle. "This breakthrough technology offers an accessible, immersive platform with which to engage in a rewarded gamification experience at the point of purchase leading up to Cinco de Mayo," said Michelle Cater, Beam Suntory’s senior director of commercial marketing. Like Wyclef, other musicians have shown interest as well. Glenday said he spoke to artists who wanted to pop out of their album covers "kind of like Princess Leia in ‘Star Wars.’"
But for this pioneering technology, it will cost. According to Glenday, most of these AR campaigns will cost somewhere between mid-six-figures and a million dollars. "We don't want these to be gimmickry stunt kind of things," he said. "We're going to be very strict about who we partner with, what brands, and what they want to do. People aren't going to do AR just as a silly gimmick. You have to give them something, some entertainment value, a coupon, a download. There has to be some payoff for the consumer."